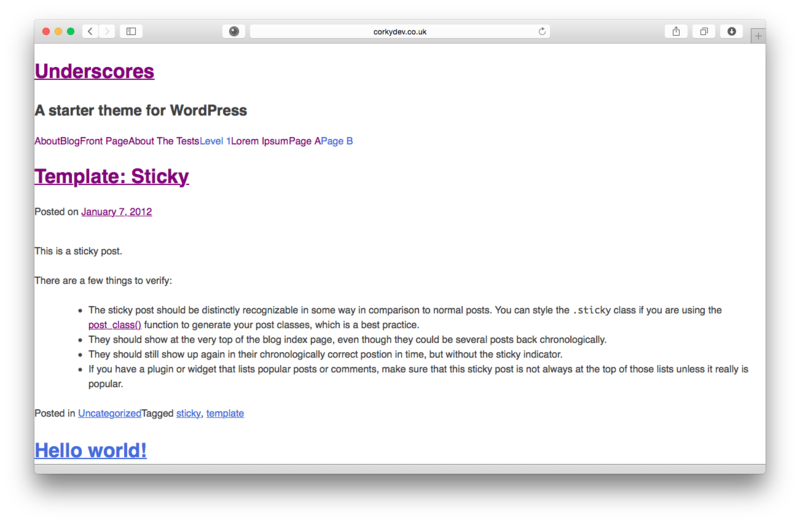 Now, I’m not saying that the above screenshot is a particularly badly designed blog! It’s a lovely theme, has that fabulous header, and is using pretty social icons and attractive fonts… but none of it is cohesive; they all feel like separate entities rather than part of something bigger and beautiful. I asked Kara to fill in my Web Design Preferences form, and then worked out a design scheme based on Ellie’s lovely artwork. I just love the way these colours work together. Once Kara had agreed on the scheme I set to work. I wanted to keep that hand-drawn slightly arty feel throughout the site, so I chose to use a subtle textured background instead of a flat colour for the whole site. 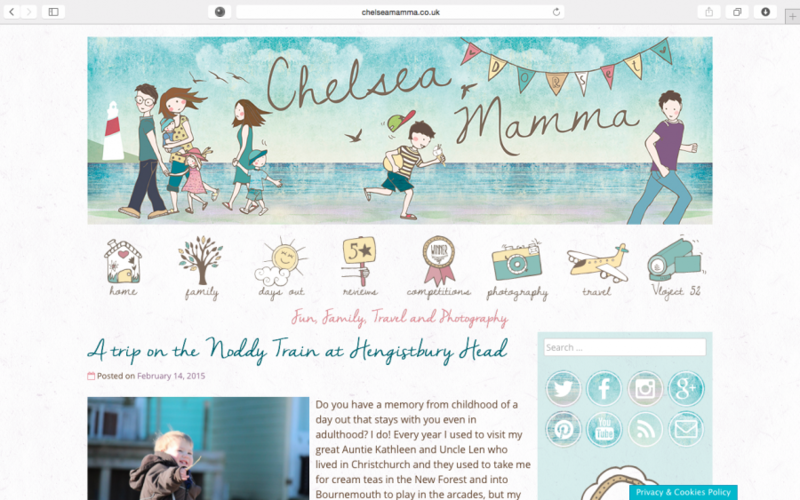 I installed an image menu for Kara, using some additional artwork by Ellie, and reorganised her sidebar to make it neat & tidy, complete with a Latest Photos slideshow and a slideshow of brand badges. The Latest Photo slideshow is served by a custom plugin that I wrote especially for Kara; it takes the first/featured image of every post that has the “image” format and displays them in a slideshow, complete with controls that pop up when you hover over the photo. 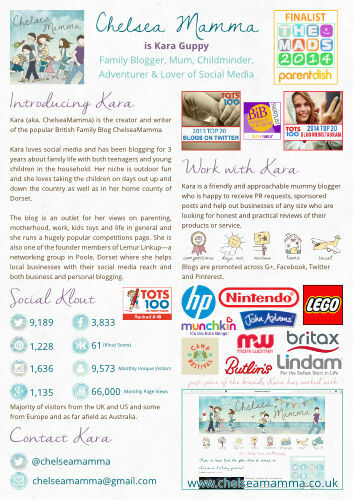 As Kara takes part in a few photography linkies I decided it would be good for her photo posts to have bigger featured images on the home page. Whenever a post has the image post format, the featured image is full width, rather than the standard behaviour of her theme, which is for a medium sized thumbnail to sit to the left of the post excerpt. 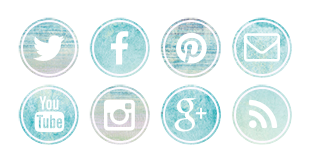 I created custom social media icons for Kara to match her theme perfectly, using the different textures in the header as the background of the icons. 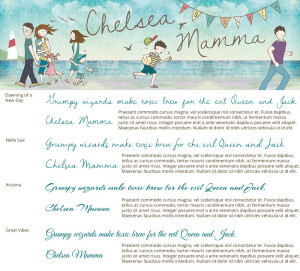 After the site went live, Kara decided she wanted to change the headers font as it wasn’t working out as well as hoped. 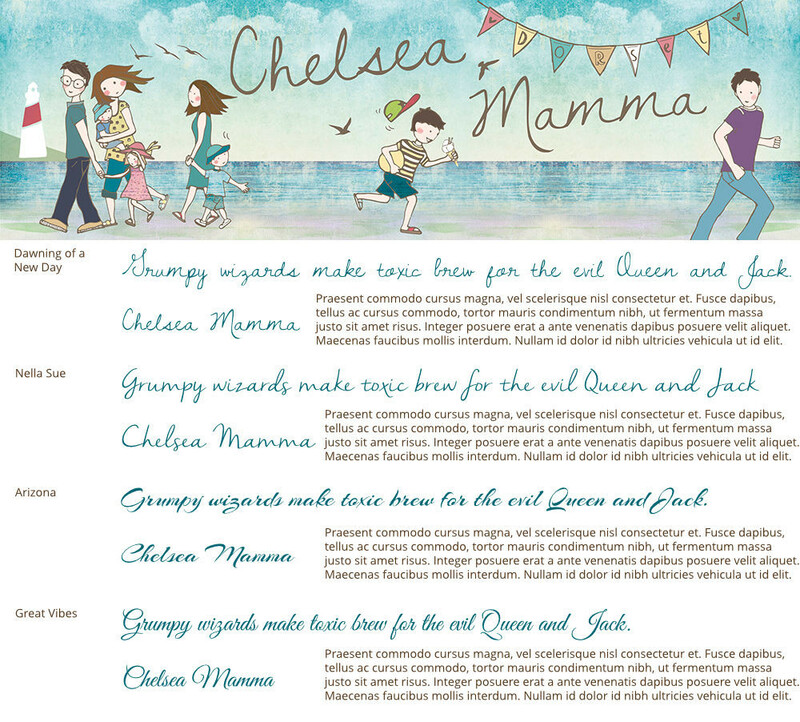 No problem – she sent some font ideas and I gave her an idea of how they would look, along with a suggestion of my own. 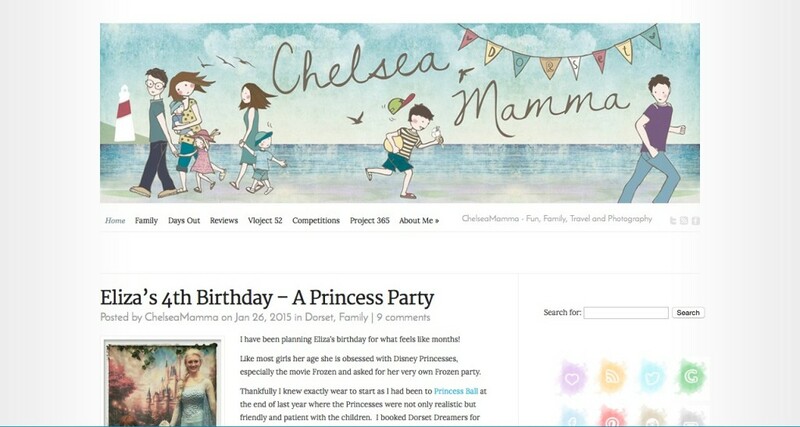 I sorted out the new webfont and now the theme looks perfect. 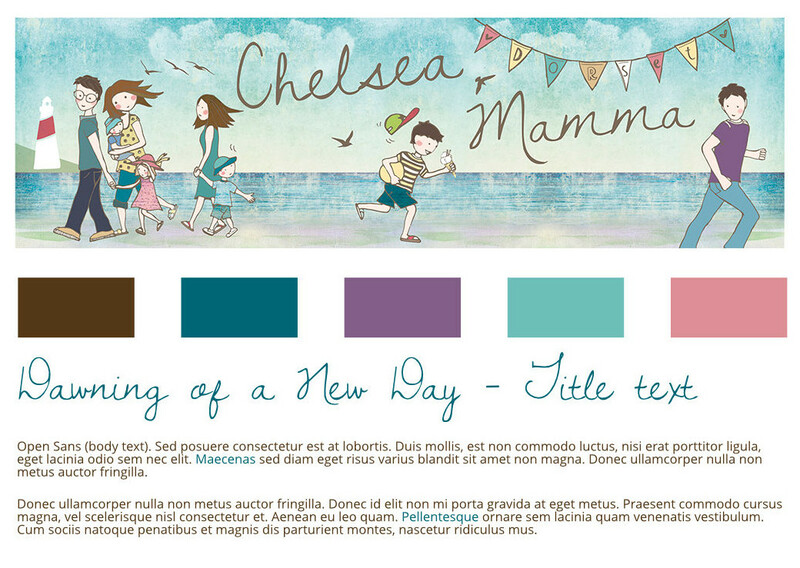 You can see Kara’s new theme at ChelseaMamma.co.uk, and read a bit more about the design here. As well as a new theme, Kara hired me to overhaul her media kit to match her new look. You can read about that here. I’m still offering media packs for just £40, and you can order one here. Well, I hope you enjoyed that peek into my design process and all approve of Kara’s new look. I’ll be back soon with another freebie to download later in the week, so keep an eye out for that! Wow Zoe that’s so pretty!! I think I’d love a bit of a theme makeover. Do I contact you through here? I’m glad you like the theme!